Once upon a summer evening in 2005, a curly–haired boy biked up to a girl sitting outside a cafe in downtown Minneapolis. A potent combination of extreme humidity and romantic infatuation had temporarily shut down the boy’s better judgment center and he stopped his bike to tell the girl he thought they needed to know each other. By some minor miracle she agreed... in short order the boy and girl fell fast in love with each other and fast out of love with their indoor desk jobs. Flush with the confidence of love, they tacked up homemade flyers around town, took out a long–term lease on their parents' gardening tools, and Landscape Love was born. Much has changed since that first season; we’ve gotten married, traveled the world, brought the love to hundreds of landscapes, had two sons, and given our parents back their borrowed tools (well, most of them). Our Landscape Love family now features a committed, collaborative team of designers, stone artists, garden gurus, and clever carpenters. 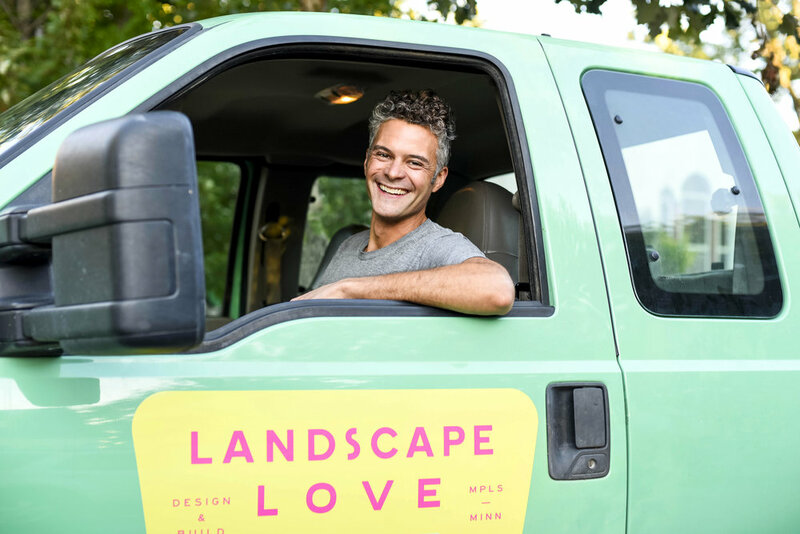 Our team has grown but the heart of Landscape Love hasn’t changed — we still believe, as one of our very first clients told us, that “being creative is creating the life you want to live.” We love living this life full of dirt under our fingernails and sunshine on our faces. We are so grateful for the people and families we are fortunate to work with, the outdoor spaces they trust us with creating, and the resulting relationships that continue to blossom and grow! Steele loves the life flowing through all things — being outside as the seasons pass fluidly through each other, tracking the journey of stone cut at the quarry, shipped across the prairie, and set with care to create a space for backyard summer memories. He loves hands in the dirt, working in concert with the living earth so trees that start as saplings can grow and give shade and shelter for generations to follow. Gardens and stone and carpentry have become a lens through which Steele finds the interconnectedness of time, team, and toil in every Landscape Love project. He brings this appreciation for interconnectedness and love for process to his role managing install crews, client relationships, and exhaustively searching for new ways to use new materials in our landscapes. 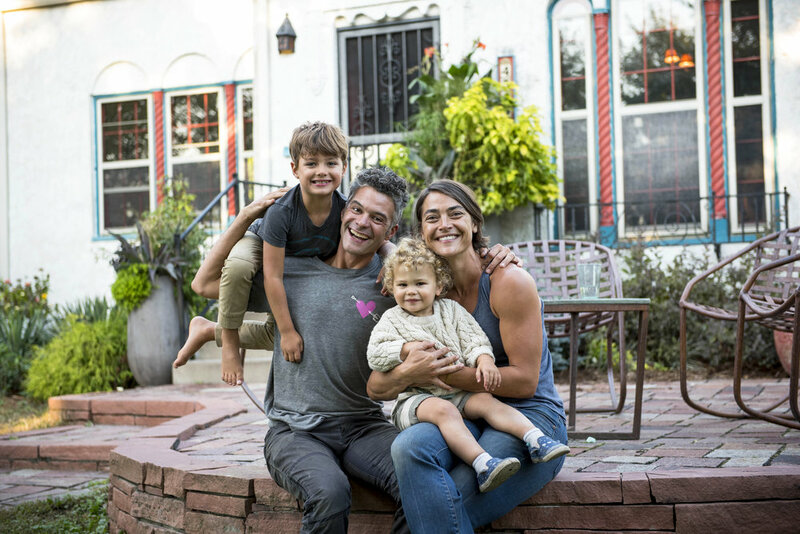 In the offseason you can find Steele hitting the road with Nan and their two sons to explore every scenic route they can find on the page-worn Atlas in their sprinter van. Sun goddess, plant whisperer, soil conjurer, bloom visionary... Nan has a special spell that she weaves over every garden she touches. It could have something to do with being born in the middle of summer, or the exhaustive exploration of every botanical garden in every city she’s visited, or maybe it’s that she needs exactly the same thing that plants need to thrive — sun, love, and water — wherever her magic comes from, Nan shines by making spaces and everyone around her feel special, alive, and cared for. These days, when she isn't out in the field adding the ‘Nan special sauce’ to our projects, she can be found tending the garden that is Landscape Love... making sure our employees are trained, supported, and well taken care of, that our HQ is vibrant and alive, and that her and Steele’s two sons have plenty of opportunities to scrape their knees. Enthusiasm, check. MCAD fine arts degree and pure, unadulterated love for all things design, check. Over 20 years of experience designing and building landscapes that combine a deep appreciation and spotlight on craft with an encyclopedic knowledge of plants that make Minnesota backyards feel layered and alive, check. 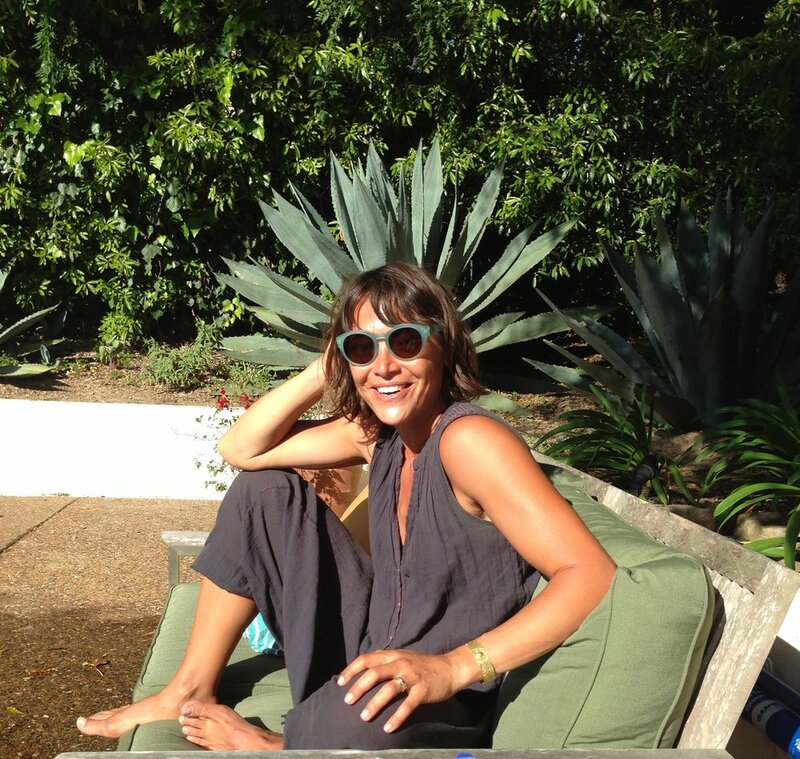 Chad’s kaleidoscopic life experiences check all the boxes for what it takes to make outdoor spaces feel special. From his time as a refinisher of Danish mid-century modern furniture, Chad brings a love of clean lines and flowing form. From his time as a landscape contractor in Aspen, Chad brings big ideas for big spaces (and a love for beer that has been staying cool in a creek until the end of the workday). And from his time spent traveling extensively in Europe and Southeast Asia, Chad brings a worldly sense of how outdoor spaces can transform our experience of home. When he isn't designing unique landscapes, Chad can be found hanging out with his wife and two daughters or out in the garage taking apart and putting back together something with an engine and wheels (most likely while drinking that cold creek beer). Betsy’s love for landscapes started like all great garden affairs…she bought a perennial and planted it in her front yard. The she bought another and planted it, then another, then another, then another, and then her yard was no longer a yard, it was a living, breathing, blooming tapestry that made the world a little brighter, a little sweeter, a little more bearable amidst the concrete stretches of south Minneapolis. After all the work Betsy put into her garden, the garden began to work on her... it whispered ‘keep going, keep growing, let’s grow together.’ So Betsy walked out on her own limb after a 15 year career at MCAD. She went back to school for her master’s in landscape design, became a certified master gardener, and set to work doing what she does best — making the world a little brighter, a little sweeter, a little more bearable for everyone she’s with and every landscape she designs. Betsy’s designs are thorough, thoughtful, and focused on creating spaces that build relationships between people and nature. When she’s not designing, you can find Betsy toiling in that garden that grew with her, camping in her teardrop trailer, or fly-fishing with her hubby on some hidden river that only they know about. Take 2 scoops of can-do attitude, add the gentle touch of a butterfly on your shoulder, mix in a pinch of ferocious pit-bull focus, shake vigorously and pour over a cube of un-meltable ice that keeps cool now matter how hot it is…we call that heady elixir you are enjoying ‘The Michelle.’ She is our our X-factor, our Jane of all trades, the binocular-to-eyes air traffic controller that keeps our fleet flying high through the friendly skies. Michelle manages initial contact, shepherds our clients and designers through the design process, and makes sure our crews have what they need when they need it to keep our project sites clean, well-run, and efficient. You can also catch Michelle jumping into the field to add her plant-loving eye to garden installs, bringing the blooms to annual containers, and serving as the smiliest bobcat operator you’ll ever come across.